Many well known brands of bottled water are just filtered municipal tap water. But Fontis Water is pure, natural mountain spring water sourced from our family-owned, deep rock spring nestled high in the Blue Ridge Mountains of Georgia. Surrounded by unspoiled national wilderness, our spring water is protected from contamination by industry or agriculture. When it comes to water, we believe you should know what you’re drinking. And that’s why we’re so open and clear about the water we source and deliver to our customers. From Clear Mountain Springs to You. When rain falls on the rolling Blue Ridge Mountains, it seeps through porous rock that acts as a natural filter. After its underground journey, the crystal clear water makes its way to our deep rock spring near Blue Ridge, Georgia. To further assure its purity before it is delivered to your home or office, our natural spring water undergoes filtration and ozonation at our bottling facility. Ozonation is a process where ozone (O3) is bubbled through the water to eliminate any naturally occurring impurities that may be present. This extra step guarantees absolutely pure drinking water. Every hour, the water is tested to ensure customers get the purest, highest quality natural mountain spring water available. The final product is then carefully bottled in 3-gallon, 5-gallon, 1-gallon and single-serve containers.  Our 100% pure spring water is delivered to homes and offices throughout metro Atlanta. Our mission is to deliver the best, most preferred natural mountain spring water with unmatched customer service and genuine enthusiasm. It’s been a family tradition since 1980.